As 2018 comes to a close, I have been mentally reviewing my professional accomplishments. I started the year off with a few goals I wanted to accomplish and I’m happy to report that I accomplished all but one. Maybe in 2019..
My 2018 goals included speaking on a panel, receiving paid writing opportunities, and attending some key industry events. I’d like to share my goals with you and how they were accomplished. Speaking on a Panel. Due to my strong introvert tendencies, I wanted an opportunity to speak on a topic I care about without ALL of the attention being focused on me. eX Summit to the rescue! In August, I participated on the ‘Diversity in the Workplace’ panel at eX Summit Philadelphia representing the nonprofit perspective. It was a good time! Peep the discussion at the 2:11:15 mark. BONUS: ‘Diversity Means Nothing Without Inclusion’ panel on WorkHuman Radio. Writing & Thought Sharing. You may not be able to tell from the inconsistency of my blog posts but I enjoy writing. Plus I’m pretty good at it. 🙂 This year I was approached by a leading nonprofit consulting firm to write for their newsletter. I also like to share my thoughts on a variety of HR topics – especially when asked because it makes me feel special. There were four events I wanted to attend this year and luckily I was able to attend all four. I wrote a few blog posts about them but I did A LOT of live tweeting so check the hashtags on Twitter. How Do You Get People to Talk? 2018 was also a year in which I got to connect (or reconnect) in “real life” with several folks I’ve enjoyed connecting with online. I’m sure I’m missing some pics but life is too short for me to dedicate endless hours to searching for photos. You get the idea. Last, but most certainly not least, I completed the Cornell University Diversity & Inclusion for HR certificate program. In just a few hours it will be 2019. I’m looking forward to doing even MORE speaking, writing, event attending and connecting with folks in the new year. I’ll probably come up with some additional goals as well. As for my one professional goal that wasn’t accomplished this year – making more money – I haven’t given up on it. I’ll just have to work harder in 2019 to achieve it. If you have any legitimate, non-scammy ideas on how I can make this happen, feel free to reach out. P.S. – In 2018, I also had the most engagement I’ve ever had with one of my social media posts. Hopefully the practice of unnecessarily requiring degrees and valuing them over actual experience is on the downturn. So many missed opportunities. My “I get to interview Joe Gerstandt” happy dance. Full disclosure: I’ve been internet fan-girling over Joe Gerstandt for a while now. Why, you may ask. Well, his Twitter bio says, in part, “I speak, write, advise on issues related to Authenticity, Diversity, Inclusion…and I do it well.” If you’ve been following me on any social media channel, you’ll know those are the top HR/workplace issues I’m interested in. Finding someone who always has something insightful to say on them, and actually interacts with people, was a treat. Thus, a Joe Gerstandt fangirl I became. 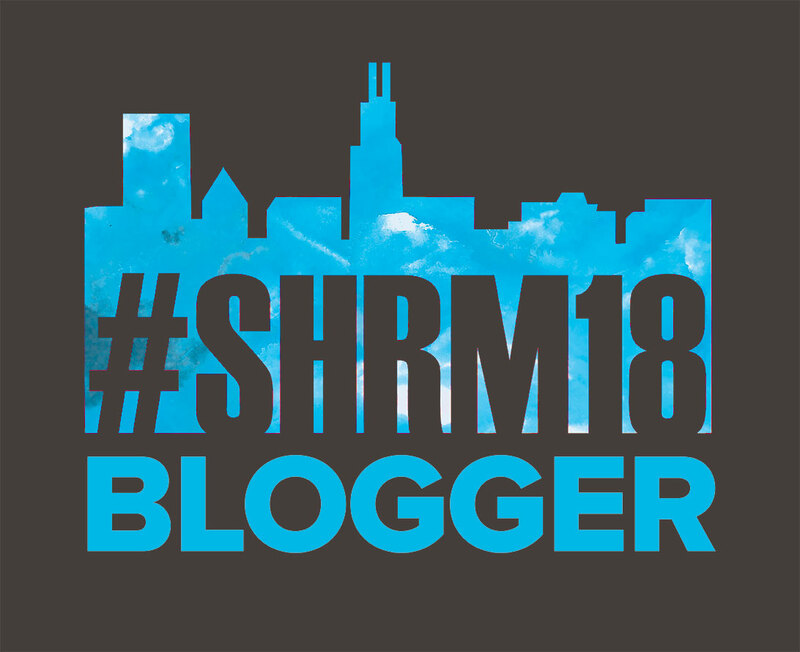 As you know, I was lucky enough to be asked to be a member of the 2018 SHRM Blogger Team. As such, I have been given the opportunity to interview some of the speakers. Imagine my delight when I saw Joe (we’ve never met but I feel I can call him Joe 🙂 ) was on the list and available. Joe Gerstandt is a speaker and consultant helping leaders and organizations to better understand what diversity and inclusion mean to our organizations and communities today. He is an advocate for resetting the diversity and inclusion conversation, and believes strongly that we can ill afford to continue applying a 20th century approach to an increasingly critical set of 21st century business issues. He will be presenting a concurrent session as well as being on the Smart Stage this year. He was kind enough to answer a few questions from me on his session, Designing the Inclusive Employee Experience – something we should all be working diligently to achieve. Inclusion is Joe’s jam (his word) so some of his responses are a little long but I couldn’t bear to cut out anything. It’s all so good. Statements I found particularly poignant are in BOLD. Don’t be surprised if I BOLD entire paragraphs. TR: What is inclusion and why is it important to employee experience? JG: This is a fantastic question and I would suggest that one of the largest reasons companies talking about inclusion are not making more progress is that they still have not answered the first part of this question. In 2018, inclusion is a terribly popular word relative to the workplace, yet in most workplaces it remains a vague, abstract idea. Vague, abstract targets are hard to hit. Most leaders today are quick to let you know that, yes; they are indeed inclusive, but most of them cannot explain what that means in a logical and concise way. Inclusion is a complex idea and it can mean different things to different people, but for your organization you definitely need your definition. Your definition will be incomplete and imperfect as we are trying to capture something that is intangible and experiential, but you desperately need it. A clear, concise, logical definition of inclusion is quite possibly the single most valuable component in a successful inclusion effort, and it is the most commonly missing component. While organizational definitions can and should vary, I believe there are some fundamental components to this idea of being fully included and I generally spend some time on these components to help organizations, leaders, and teams start finding some really clarity regarding inclusion. 1) Belonging & Authenticity. Belonging is nothing short of an existential need for human beings, and when you feel that you belong in a place or space, you also derive sustenance from being there, regardless of how hard the work is. I am a straight, white, middle-class, middle-aged dude who lives in the middle of the country and I have never experienced discrimination toward myself. I have consistently received the benefit of the doubt (even when I did not deserve it! ), but I have had the experience of not feeling that I belonged in an organization and I know that feeling to be mentally, emotionally, and spiritually exhausting. When simply going to work on Monday morning is an act of courage, you are not likely to be your best self at work, you are not likely to be your authentic, creative, collaborative self…you are much more likely to be in survival mode all day long and that invites a drastically different kind of contribution. Can I show up for work on Monday morning, be largely true to who I am and feel like I belong? How much do I have to compromise to fit in at an organization that has chosen me? These are questions that have real consequences in performance. 2) Psychological Safety. Psychological safety is a little bit buzzwordy right now due to the Project Aristotle insights that came out of Google recently, but research on the topic goes back to the 1960s, and in fact there was a really rich meta-analysis on Psychological Safety released in 2017 that pulled from over a hundred different individual studies. I think an incredibly valuable marker of inclusion is whether or not people are willing and able to tell the truth to each other – spoiler alert, they’re not! – and telling the truth to each other (sharing your big crazy ideas, your uncomfortable questions, disagreeing with people, even people who have more formal power than you do) requires a certain amount of psychological safety. If we are going to deliver a more inclusive employee experience (and if we are going to do better around decision-making, problem-solving, and innovation) we have got to make it safer (and in fact, rewarded) to have respectful conflict with each other. Today, that is very hard to find. If we are truly going to aggregate (or include) the human potential we have access to, we have got to make sure that it is safe to be different, to think different, to be (at least temporarily) unpopular, to disagree with people (including your boss and their boss) as long as we do so respectfully, and I see a lot of room for improvement in this area. 3.) Access & Agency. Who has access to what, how is that decided, and is it explicit? Who has access to information? Who has access to decision-making? Who can initiate change and how? These are all really important aspects of an organization and they are almost always unwritten (which makes it hard to evaluate them, learn them, improve them, etc.) and they are almost always informed more by power, privilege, and personality than they are by actual performance related evidence. I am not opposed to different levels of access for different employees, just make sure there is a legitimate justification, that it is reevaluated from time to time and that it is explicit. Unwritten rules make inclusion (and a bunch of other stuff) much harder to achieve, and most organizations are swimming in unwritten rules about some of the most important things. TR: How do we know if an organization is inclusive? Does inclusion look the same across teams/organizations? JG: On a very fundamental level, inclusion is about creating spaces and places where people who are naturally different from each other can be true (belonging & authenticity), tell the truth (psychological safety), and make a uniquely valuable contribution (access & agency). It is likely going to be mean something different to be fully included at The Federal Reserve than it means at Facebook, they have wildly different cultures, but I think that these are three of the more universal components to consider in getting specific about what inclusion means for your organization. One of the beautiful things about having a clear, concise definition in place is that it allows you to take that definition to your employees and ask them whether or not it reflects their experience, and their answers are one of your most valuable metrics relative to this work. I hear people complaining that this stuff is all so hard to measure, and it is, because we are dealing with intangibles, but if you get some real clarity on what you are trying to actually accomplish there are some solid metrics we can use. TR: Whose responsibility is it to ensure an organization is inclusive? Does the responsibility like solely with HR? JG: This is about leadership, full stop. HR (and some other functional areas) have a unique role to play in supporting these efforts and may own specific aspects of it (compliance, for example), but this is about leadership. HR has their own work to do regarding diversity and inclusion, and often gets an undeserved free pass on this work, but it should not be their responsibility and I am not in favor of housing D&I efforts inside of HR. 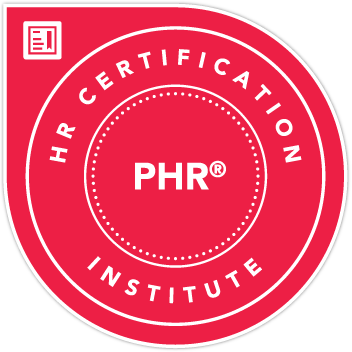 HR does not necessarily have the expertise, and they certainly do not have any financial, political, or social capital to spare right now. Inclusion, properly understood, should be the first priority, the first practice, and the first product of leadership. If you do not have an inclusive organization, it is because you have an absence of real leadership. The fact that we are still trying to convince people in management positions that inclusion matters tells me that our approach to leadership is and has been deeply flawed. TR: What should we do if our organization is not inclusive? How can we change that? JG: That depends on a whole bunch of stuff. The nature of the organization, support from others, your own gifts and tolerance for risk-taking, etc., these are all important contextual factors on the individual level. Maybe you should start talking to people about it, maybe you should leave, without knowing more of the context I am not sure what is best to do on an individual level. On the organizational level, there are a few basic steps that I think scale up or down and are nearly universally applicable. I generally start by injecting new information and new ideas into the organization to prime decision-making and planning. Diversity and inclusion are likely the most poorly understood, most often misunderstood issues relative to the workplace today. Everyone says they “get it,” (as there is that expectation today), but most people do not get it. This is not their area of expertise, they have not explored issues relative to identity, social dynamics, bias, ingroup/outgroup, etc., they are not familiar with the science and scholarship relative to this set of issues. They tend to view “getting it” as simply wanting to be a decent person, which is awesome, but something different than actually getting it. So, we start by pushing on their thinking. You can use speakers, videos, articles, books, discussions…expose them to a mix of information related to diversity and inclusion and get them to really start thinking about what diversity and inclusion mean within the context of this organization and how this organization creates value. Then we start drafting our language and logic. What specifically does inclusion mean here? Why is it valuable to us? How might we capture that value? While most organizations have poetic and rambling statements of commitment to diversity and inclusion, they are missing this clear and concise foundational language and logic, so they are trying to deliver a product without actually defining it. Good luck with that project. Get informed, get clear on what diversity and inclusion mean for your organization (especially the experience of being included, how do we know when it is happening, what does it look like, feel like, sound like, and smell like…the more specific we can get on this, the easier it is to figure out how we get there and what to measure along the way), and then develop your plan for getting there. Once you have defined what an inclusive experience is in your organization it becomes much easier to identify the behaviors, the practices, the processes that go into it. Most organizations skip ahead and start hanging posters up and launching programs, without the underlying language and logic in place. This work really is still in its infancy, and as such it remains conceptually and linguistically underdeveloped…tackle that first in your organization. Champion clarity, put a common language in place – that makes everything else easier and more likely to succeed. TR: What is the most important takeaway you want attendees to get from your session? JG: Clarity is one of your very best friends. Language is your first intervention. Clear, concise definitions are your first evidence of real commitment. Inclusive spaces, places, and experiences are not the natural by-product of people having good intentions, they happen because we intentionally design them and build them and I have some tools and tips to share toward that effort. TR: Is there anything else you want readers/conference attendees to know? JG: I think this is the 7th SHRM Annual that I have presented at and this conference is one of my absolute favorites. There is something uniquely inspiring about sharing space with so many people that are committed to the craft of HR, I always get a buzz from this show. In addition to my concurrent session, Designing the Inclusive Employee Experience (Tuesday, June 19th 10:45-12:00), I am also going to be rocking the mic on the Smart Stage on Monday afternoon (3:20), talking about the importance of conflict done well. See you in Chicago! So there you have it, folks. Words of wisdom on designing the inclusive employee experience from someone who knows a thing or a thousand about the subject, Mr. Joe Gerstandt. We definitely have a long way to go but with the right guidance, we can do it. It was my absolute pleasure to have him answer the questions I posed. He even asked if we could meet for coffee (tea, for me) in Chicago. Of course! I will try to keep my fan-girling to a minimum in public. Joe is also half of the dynamic duo, Talent Anarchy. 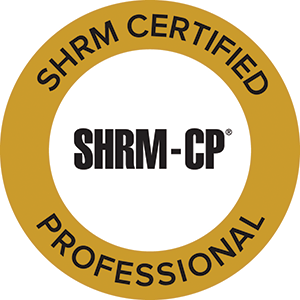 #SHRMDIV – How Do You Get People to Talk? Join me for the #Ambitionista Twitter chat at 8pm EST to discuss #EqualPayDay. Soooo... I got the answer wrong. I am now keeping my word and posting this picture selected by my friend @yummy411. I’m challenging my friends who are logical and smart thinkers, to have a crack at guessing the answer to the riddle below. When you think you know, Private message me the answer. If you are not going to follow the instructions after you lose, don't bother playing. Your turn! Read the riddle. If your answer is incorrect, I can choose any of your photos and you have to post it along with the riddle. Riddle: It's 7:00 AM. You are asleep and there is a sudden knock on the door. Behind the door are your parents who came to have breakfast. In your fridge are bread, milk (pasteurized), juice, and a jar of jam. To answer, what will you open first? * Answer directly through Private message only please. Answers in the comment section will be deleted. ** Note: It’s not what you think.